January seemed to go on forever, or maybe this was just because it was mostly cold, wet, and grey in Ireland (a distressingly usual state of affairs at this time of year). Nevertheless, “Exchange Unwashed” needed to be written, so here’s the digest of the January 2013 posts. Mark Crispin, father of IMAP, RIP (January 24): I spent quite a long time during 2012 arguing that IMAP4 had established the basics of synchronization for multiple devices in a patent action between Microsoft and Google that was eventually decided (for Microsoft) by the High Court in London in December. The untimely death of IMAP4’s creator and prime mover since came as a shock. It still is. Looking for a book on Active Directory? 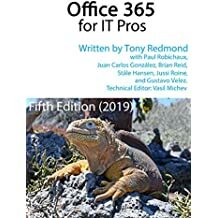 (January 21): It’s good to see new editions of well-respected technical books being issued, which is the case for the fifth edition of Brian Desmond’s Active Directory tome. Absolutely something to have on your bookshelf, just in case you have to stare a domain controller in the face. Microsoft Dodges a Support Bullet with Exchange 2013 (January 17): By far the most popular post in January, I wondered whether the delay in shipping Exchange 2010 SP3 and the resulting knock-on lack of deployments of Exchange 2013 because of the lack of co-existence has helped Microsoft to avoid a lot of support calls due to some of the obvious deficiencies that exist in Exchange 2013. Of course, Microsoft is busily fixing problems and will release an update for Exchange 2013 soon. The question is whether it will fix enough to make the product supportable. I do hope so. The meaning of FYDIBOHF23SPDLT (January 15): The meaning has been known for a long time but it’s surprisingly just how many people don’t know about it. So in a spirit of knowledge sharing, I tell the story so that Google, Bing, and other search engines will be able to answer the question in future. Exchange, EAS, and Outlook 2013 (January 13): Early versions of Outlook 2013 allowed you to configure connections to Exchange via ActiveSync (EAS). The final version did not. This post explains why the decision to prevent such connections is perfectly logical and technically correct. Exchange 2010 SP1 reaches end of support (January 8): I liked Exchange 2010 SP1 a lot, mostly because it fixed so many of the problems that afflicted the RTM version of Exchange 2010, added the best Outlook Web App client shipped so far and introduced some really nice new features such as block mode replication within a DAG. Alas, all software degrades with age and Exchange 2010 SP1 is now technically out of support. Which is why you install Exchange 2010 SP2 – or even SP3 when it is finally shipped. Downgrading an Exchange 2010 Server (January 3). Trivial fact of the month was that you can’t downgrade an Exchange 2010 server by installing a different license. You can upgrade a server, but a downward motion is out of the question. The lawyers must have insisted, or there’s another logical answer… maybe. Exchange searches limited to specific item types (January 1): To flex my writing muscles as we entered the New Year, the fact that you can’t search Exchange for every possible type of item was revealed. It came as news to me, but maybe not to you. In any case, it’s documented now. I have great hopes for February. Then again, I have great hopes for every new month. The only way to be sure that you don’t miss anything is to subscribe to my Twitter feed so that I can broadcast news your way. This entry was posted in Email, Exchange, Exchange 2010, Exchange 2013 and tagged Active Directory, ActiveSync, Exchange 2010 SP1, Exchange 2010 SP3, Exchange 2013, IamMEC, IMAP4, Office 365, Outlook 2013. Bookmark the permalink. Tony sir when can we expect exchange 2013 book?